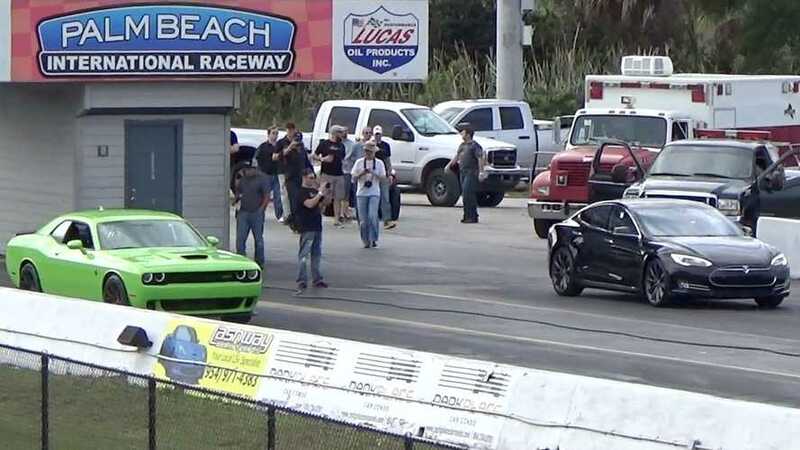 In a report from Street Car Drags, and verified by NEDRA, this weekend a Tesla Model S P85D demonstrated more of "Insane" by breaking the 1/4 mile record (quickest/fastest production electric car). The challenger, a 2015 Dodge Challenger Hellcat, has a 6.2L Supercharged HEMI V8 pumping out 707HP. 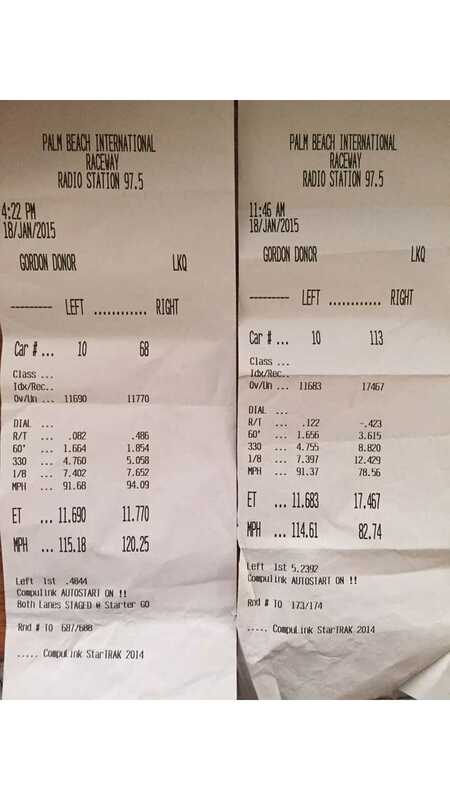 The Tesla's run was an 11.6 @ 114.6 MPH 1/4 mile with a 1.65 60′ time. 0-60 MPH was 3.1 seconds. No word on what happened to the big V8.